This compact, one-size-fits-all unit features an advanced PM5 Performance Monitor, ergonomically designed handles, adjustable foot-rests, and a flywheel design* for smooth movements with minimal noise. The Model D also includes a comfortable 14” seat height with an aluminum rail and stainless steel track for a consistent back-and-forth slide without any sudden starts or stops. 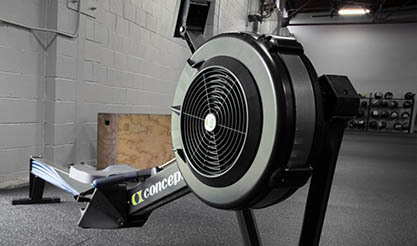 When done training, you can quickly break down the rower into two segments for storage or use the included caster wheels for easy transport. 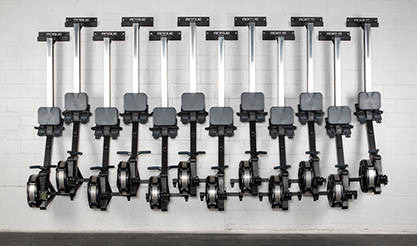 While some might associate traditional rowing exercises with upper arm strength, the Concept 2 Rower actually produces one of the more comprehensive, full-body workouts of any fitness machine in the industry—developing efficient core power and leg strength without over-taxing the back. 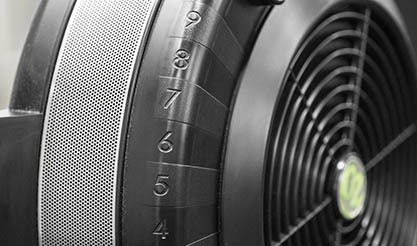 *To adjust how much air enters the flywheel housing on each stroke, the Model D Rower includes a unique spiral damper that you can adjust from a setting of 1 to 10. This functions much like the gears on a bike, affecting how much energy will be needed to accelerate from one stroke to the next. "The PM5 is another leap forward in what a performance monitor can do. Track distance, speed, pace, calories burned, and watts—all presented on a clear, backlit display. 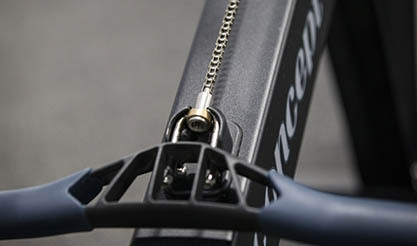 Connects to wireless heart rate monitors and via bluetooth to the optional ErgData app to track detailed workout data. The monitor itself can be custom positioned using the adjustable monitor arm. USB flash drive compatible and built for machine-to-machine racing. The Model D is mobile, and easy to store. 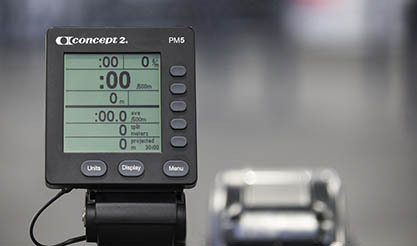 You can quickly breakdown the entire unit into two compact sections using the quick release, framelock mechanism (no tools needed), and caster wheels enable the easy movement of the entire rower from one end of a gym to the other. To free up even more space add a Rogue Rower Hanger to your order. Rated 5 out of 5 by Daz8364 from Great workout My initial impressions of this is a great piece of equipment. It is sturdy and well built. It was easy to put together. The tracking features are great. Only negative is the seat is not the most comfortable.